If you’ve ever wondered what it takes to push your diving to the next level, PADI Tec40 is the first step beyond recreational diving. The PADI Tec40 course offers an introduction to diving with redundant systems, double SCUBA cylinders, lift bags, deco bottles and gas mixes up to 50% oxygen. More importantly, PADI Tec40 takes you into technical decompression diving. 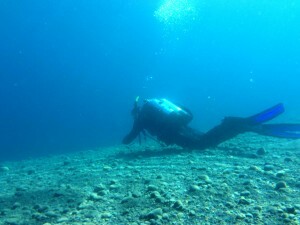 Decompression involves making stops at prescribed depths prior to surfacing as a means of ridding your body of nitrogen that would otherwise form bubbles in your tissues. Technical diving isn’t for everyone, but for those willing to accept the risks, technical diving in Lake Tahoe is an experience like no other. The lake is cold, but it’s deep, and the visibility is awesome. Lake Tahoe is also rich in history. So, while it lacks the diversity of ocean ecosystems, there’s a lot more to the lake than many diver’s realize. Dive sites like Hurricane Bay, Sunnyside Bay, Glenbrook, Meek’s Bay and Emerald Bay hide historic artifacts many divers don’t recognize for their significance. I’ll save the details for future posts, but for many of these sites, the key lies in safely going beyond sport diving limits. Tec40 will get you to 130′, which due to altitude, is not appropriate in recreational diving. Adjusted for altitude, the recreational limit for Lake Tahoe is 100′. 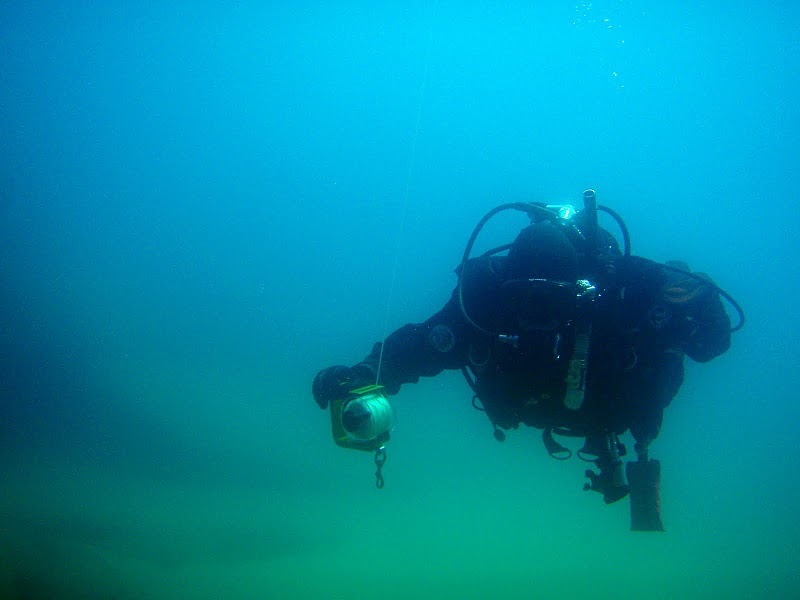 It is an important distinction, since many favorite Lake Tahoe dive sites provide easy access to great depths. Finally, technical dive training will open your eyes to concepts that can help any diver be safer and more aware. Even if you aren’t interested in reaching air diving limits or lengthy accelerated decompression on 100% oxygen, or even deeper dives using helium, entry-level technical dive training promises to make you a better diver. Perhaps best of all, the classes and the diving are fun. This entry was posted in Dive Sites, Diving News, New Dive Gear, Technical Diving and tagged diving safety, JoeScuba, scuba instruction, tec gear, tech gear, technical diving. I can’t wait to start my Tech40 training! I just need to knock out my Dive Master first!